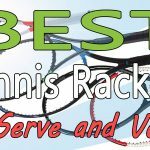 If you love tennis and you live to play doubles, this post was written for you. 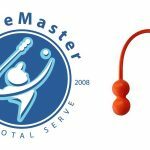 Whether you’re a beginner or an experienced player, I’m sure the tips in this post are going to be a huge boon to your doubles game. Perhaps you play doubles often, but with no clear idea of how to finish points. I’m going to show you how to construct and win points in doubles. Doubles is more of a finesse game than singles and involves a bit more strategy. 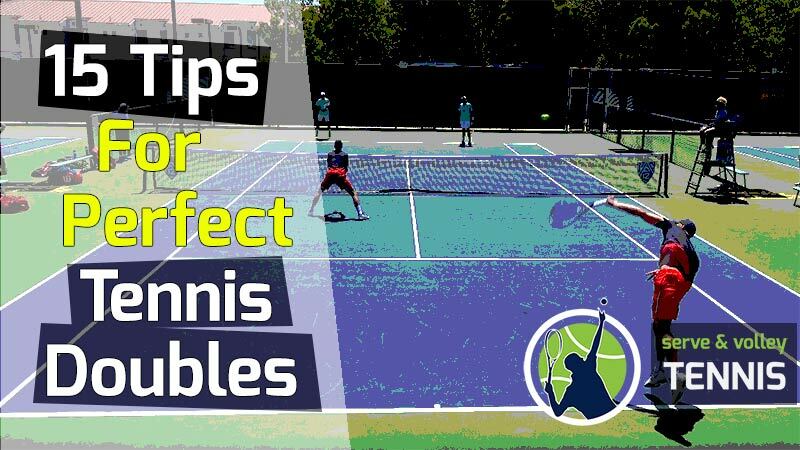 If you’ve been struggling with your doubles game, or simply want to improve it, stick around to learn my top 15 doubles tips. 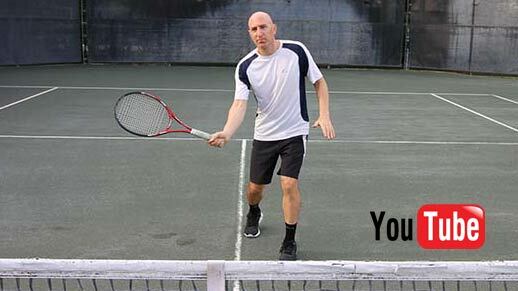 These tips are proven tactics that I’ve used in 25 years of playing doubles. They also come from my analysis of the top ATP doubles teams over the last 10 years. The tips are in no particular order. I urge you to read through all of them. Even if you’re familiar with a tip, still read it. Why? Because I give my personal insight on each one, which I believe will be of value to you. With that said, let’s dive right into it! Poaching is when the net player moves out of their position to volley away the ball. On most poaches the net man will move from the deuce side to the ad side or vice versa. Here are my thoughts on poaching. At the start of the match, I will poach on roughly 1/3 to 1/2 the points during the first game or two I play the net (with my partner serving). I do this to cast uncertainty in the returners for the remainder of the match. If they see me going often and early on, that thought will stick with them the rest of the match. Never let the returner feel comfortable. If you signal a poach to your partner, commit to it. This means go full steam to the other side of the court and don’t dilly-dally. Most likely your partner will be running to cover your side of the court, so if you don’t commit to the poach, very likely a good crosscourt return will be a clean winner. Wait until the returner starts the forward part of his swing to move. If you leave any earlier, you run the risk of being passed down the line. Trust me, when you get to the 4.5 level, guys can burn you quite often if you leave too early. Wait as long as you can before making a move. When you do poach, be prepared to hit a volley. Many club players are so focused on their movement that they forget to use volley technique. A common scenario is to see them running on the poach only to miss a volley directed right at them. Be prepared to hit the ball at all times. When playing the net, either on the serving side or return side, you should constantly be on your toes. This gives the appearance of being able to move for any shot and intimidates the returner. On approximately half the shots the returner hits (depends how good a shot they have at the ball) you should fake like you are going to poach. This can be done with a little jab step or turning of your shoulders. The fake is a great play that not enough club players make. It can result in many errors from your opponents. Fakes cast doubt in the mind of the returner and narrow the court for him or her. When a good fake is made, it’s not uncommon for the returner to make an unforced error, trying to hit too good a shot. If you mix in random poaches, this will really leave your opponent guessing what you’ll do next. Try them out for size the next time you’re at the net. I am a proponent of varying your serve placement on first and second serves. You never want to become too predictable in tennis. When I play doubles, most of my serves are directed into the body or to the backhand. I’ve heard it said that serving up the middle is best on both the deuce and ad side. Yes, I agree that’s a good strategy. But I’d rather go to my opponent’s weakness, even if it is out wide. The main thing I think about when serving is setting up my partner for a weak return. That should really be your primary goal when serving, not going for an ace, which is rare at the club level. I should also mention that a serve placed deep in the box – near the service line – is generally more effective than a shorter serve. So serve deep and direct mostly to the body and backhand. It’s become the fashion nowadays to stay back when serving. Serve and volley was once the gold standard in professional doubles, however, more teams are staying back more often. This goes to show how much the game has changed. However, at the club level, the serve and volley is still very effective. My thought on serve and volley is that you should do it at least 25-30% of the time, but it really depends on your level of skill and that of your opponents. If you are highly skilled in serve and volley, then I would say do it almost every first serve and mix it 50-50 into your second serves. It forces your opponent to constantly hit good returns and will set your net man for easier volleys. If your serve and volley skills are not up to par, you should still come to net once a game just to give a different look. If you’re playing doubles, you should have some type of rudimentary volley. Use the serve and volley to put a little pressure on your opponent. In this way, you’ll cause some uncertainty in the returner, knowing you might come in from time-to-time. I learned this from a great doubles player named Charlie. He told me to think of the court divided into three zones or sections – but not laterally. He meant depth-wise. 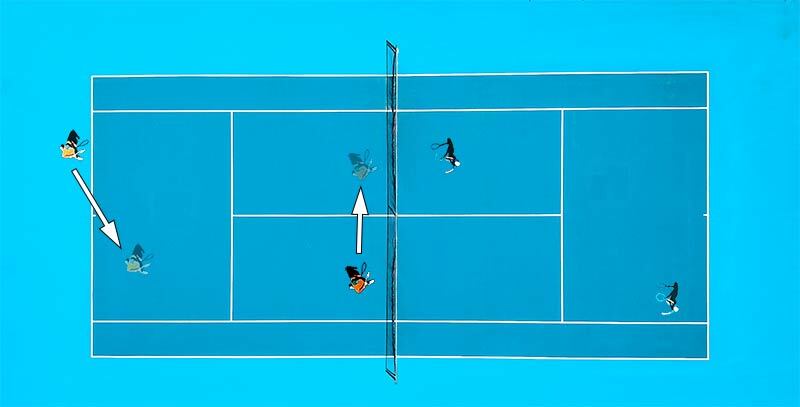 The depth (net to baseline) of one side of a tennis court is 39 feet. The first zone he talked about is the net to 13 feet back. The second zone is the next 13 feet of space, which would be around the middle of the court. The third zone is the final 13 feet, which is the last 13 feet of real estate until the baseline. Instead of randomly hitting the ball with no thought in mind to depth, think of which zone you want your opponent to be hitting the return. If in the first zone (near the net) you would hit a soft shot, like a dropper. 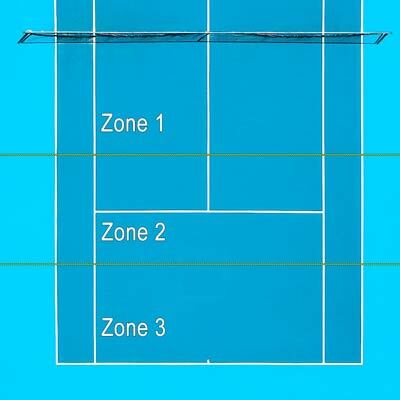 If in zone two (the middle of the court) you would hit a groundstroke but take some pace off it. This zone can often catch your opponent off-guard. Hitting in this zone means he or she will typically need to move in from the baseline. At that point, he or she will need to retreat to the baseline or come to net. If the opponent decides not to move forward or backward and remain in the second zone (or “no man’s land” as it’s appropriately called) it can be very dangerous for them. I have an entire section solely devoted to staying out of no man’s land. That’s how important it is to stay away from being there. If you see your opponent playing slightly inside the baseline, going deep to the third zone is a great play. Often the opponent will be forced to hit a return close to the ground, which is tough to do. A lot of club players camp inside the baseline. You can really get them with a deep shot to zone three. The next time you play, give thought to hitting depth besides the usual side-to-side placement everyone is aware of. I guarantee you varying your depth in this way will improve your doubles game. This is a tactic I had to learn the hard way, over many doubles matches. In singles, where you’re the only one covering the entire court, it often times makes sense to go for an all-out winner on the run. But in doubles, you have a partner covering the rest of the court. So when on defense in doubles, hit a defensive shot that has an excellent chance to land inbounds. It’s a higher percentage deal at the club level to make your opponents hit another overhead or volley rather than hitting the perfect running forehand winner down the line. Keep in mind there should be a small percentage of the time you actually do go for a winner. But for the most part, trust your partner to cover the rest of the court and play that defensive shot. A defensive shot that you hit high, like a lob, can give you time to get back into correct position. This to me is one of the most important tips I can give for doubles. Basically, in doubles, one player will cover the ad side and the other the deuce side. However, there are occasions where players need to switch sides to cover for the other player. This often happens during poaches, lobs and shots that your partner can’t retrieve. One hard rule you and your partner can use is this: Once someone firmly crosses the midline (meaning they fully commit to the other side of the court), the other player on the team switches automatically. It irks me to no end when I poach and my partner is still standing in back of me. This means he hasn’t moved one step when he should already be on the other side of the court. This is pure laziness. I’ll never play doubles with someone who doesn’t at least make the attempt to cover. Another situation where you’ll need to switch is on lobs where one player is at the net and the other player is near the baseline. If the net player is lobbed, she should quickly move to the other side of the court. At this point, the other player (near the baseline) will run to her side to retrieve the lob. Good communication is key when you switch, so if you intend to change sides, yell out “switch” so your partner is clear on where to go. Lastly, if your partner simply cannot get a racket on the ball and you cover their side (if you’re fast enough), they should switch as soon as they see you commit to their side. This situation is not as clear-cut as poaches and lobs, so it may take time to get used to a quick switch in this situation. When you see your partner on your side, don’t wait – just switch quickly! I need to point out one more piece of advice here. If one of you plays the net and the other back, the net man should pick a side. I’ve played with people who stand near the midline at net and go back and forth (deuce and ad side) during the point. I can’t tell where they are going or where I should cover. If you play the net, always be aware of this. Basically, pick a side unless caught in a dogfight at the net. When playing doubles, it’s very important to make your first serves if you want to win. I understand it’s not possible to do 100% of the time. However, the first serve percentage in doubles should be way higher than singles. I believe it should be at least 70-75%, while in singles you can get away with 50%. 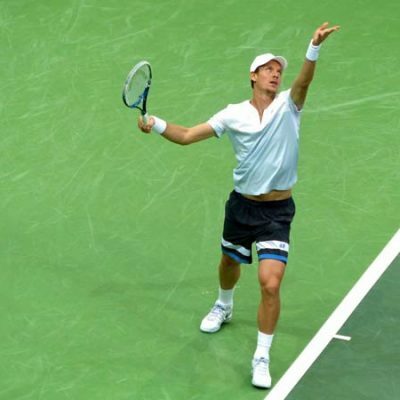 For most club players, the second serve is their weakest shot. This is bad news for your partner, who now becomes a sitting duck. Being in the line of fire, he must brace for a powerful return, which is often struck inside the baseline. Either the ball will be hit directly at him or he’ll have no opportunity to poach. Furthermore, serve and volley is probably out the window for the server as an option. This really lowers your chances of winning the point. To up your first serve percentage, take some pace off the ball and apply more spin. Placement is your best friend in doubles, so hit a well-placed serve with less power and more spin. This will increase the likelihood of making the first serve, which affords you options. 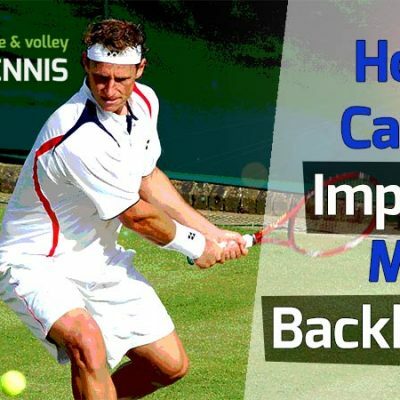 You can serve and volley, poach, or attack off a weak return. However, if you miss the first serve, those options disappear. Do you see the huge contrast in opportunities here? Resist the temptation to go for the big ace up the middle. Instead kick it out wide with less pace and you’ll end up better for it in the long run. Got it? 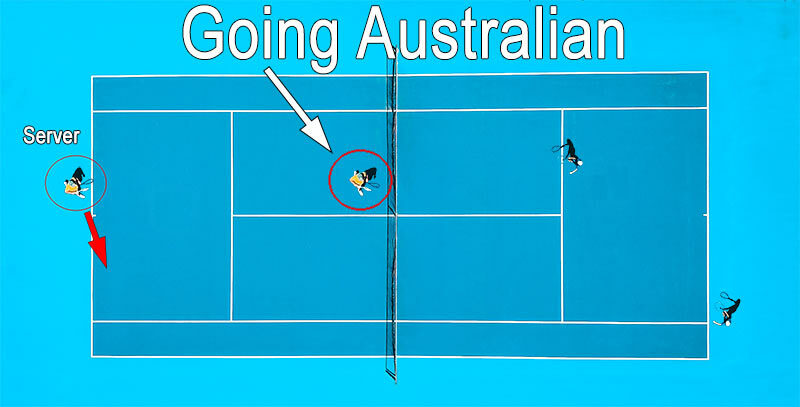 The term “Australian” in doubles means both players line up on the same side of the court when serving. For example, if a righty is serving and has a bad backhand, it can be protected on the vulnerable ad side. Let’s suppose my partner is a righty and serving from the ad side. Instead of me traditionally standing on the deuce side at net, I’ll position myself on the ad side. This means my partner will be serving from almost directly in back of me. After my partner serves, he’ll need to scoot over to his right to cover the deuce side. However, almost all the shots he receives on the deuce side will be done with his forehand and not his weak backhand. Lefties can protect weak backhands too. If a lefty is serving on the deuce side, his partner will position on the deuce side to protect the backhand. Even if the backhand is not an issue, I like the Australian format because it changes things up. Here’s another good time to use it: Suppose you’re in a tight game with several deuces gone by. The next chance you have, go Australian to give a different look on that point. It may win it for you. The Australian format basically takes away the cross-court return and forces the returner to go down the line. Here’s the downside of Australian for me: If the net man on the serving team is not very active, I think it gives a nice clear path up the returner’s side of the court. In general, I feel it’s easier to return against the Australian format because there’s not as much pressure at the net as a traditional net setup. But it’s a great tactic to protect weak backhands. Often when playing doubles, and especially against good teams, you’ll be facing two players at the net. This happens when you’re playing at the baseline and both players on the opposing team are now at the net. When this situation happens, don’t panic. Have a plan of attack already in mind so you can choose from several good options. Those options should be ingrained into your memory so you can choose one in a split-second. Many times, you’ll only have a second to make a decision. My first choice of attack is a well-placed lob over the net players’ heads. This is always a possible choice when both players are at net. This tactic depends on where your opponents are camped at the net and how well they hit overheads. The second option is a hard-struck groundstroke to the middle. If you split the middle of their guard, the opposition is much less likely to return the volley. This is because they either cannot get a racket on the ball or there is confusion over who should take the ball. Often, you’ll see your opponents clash their rackets together, both trying to hit the ball, usually unsuccessfully. The third option is to hit a hard-struck ball directly at the weaker player. Why not go at the weaker player almost every time in those situations? The fourth attack would be to go down-the-line. This is a risky play as you are hitting into a narrow space over the high part of the net. I usually rule this option out, especially when I’m standing closer to the middle of the court. This option is only feasible when you’re close to the line yourself and have a clear path winner if hit well. When both players are back at the baseline, you can apply the same strategy: hit to the middle or to the weaker player. Lobbing should only be considered if you are hitting a very defensive shot. Remember, you can almost never go wrong hitting to the middle in doubles. 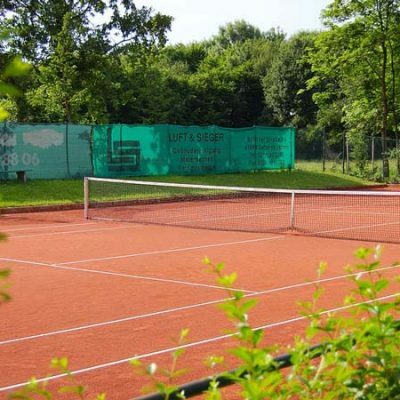 If you’ve been playing tennis for a while, you’ve probably heard the phrase “no man’s land”. In doubles, I define it as the space 4 feet from the baseline until about 10 feet from the net. If are caught in no man’s land, hustle to safety either back at the baseline or up to net. 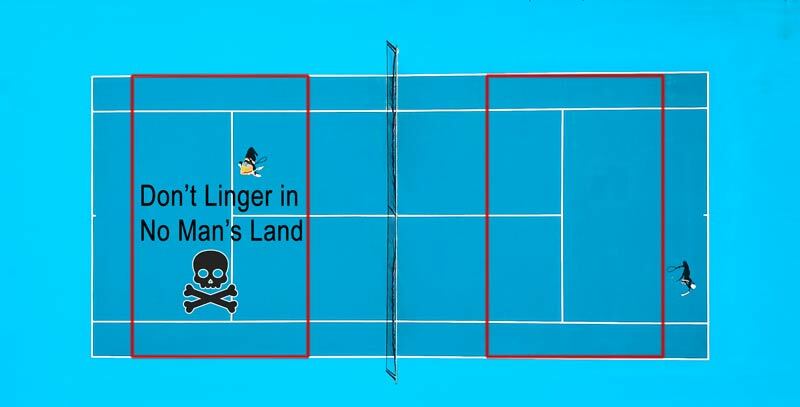 No man’s land is dangerous because you’ll often be forced to field hard shots right off the ground or hit long volleys. Additionally, you give your opponent a lot more angles to hit with less pressure on him or her. In contrast, if you’re at the net, you shrink the court and apply instant pressure to the returner. And if you’re playing back at the baseline, you have time to react to almost any deep shot on your side of the court. I see a lot of players stuck in no man’s land when watching doubles at the club level. Sometimes it’s laziness, other times it’s not being aware of court position and occasionally, the player is afraid of coming to net and stays too far back. If you’re going to be successful at doubles, you must come to net. The next time you play doubles, look at the no man’s land area before playing and decide not to linger in it during the match. It’s one thing to get caught there for one shot, like when you serve and volley, but you need to move right on out of it once the shot is complete. When you’re playing the net in tennis and the player in front of you is hitting a groundstroke, you need to at least be in distance to cover the down-to-line shot. This is especially true when the returning player is hitting a ball from out wide, usually off the court. Sometimes the line is his only out. If you simply move over to cover the line, you’re taking away his last option, forcing him to hit his best shot to win the point. For a long time, I did a poor job of covering the lines because I often heard it’s best to cover the middle in doubles. I also didn’t trust my doubles partner and wanted to pick off the volley. However, after many times being burnt down the line, I learned to make it a priority to cover it. This doesn’t mean camping next to the doubles line. It means having at least one foot in the doubles alley so you can reach a down-the-line shot in one step. The more your opponent is out wide, the more you must position out wide to shut down the angle. So trust your doubles partner, cover the line, and be prepared for a shot directed right at you. Don’t think just because you’re covering the line the opposing player won’t go right at you. You need to be prepared for a shot directed at you at all times in doubles. In an article I wrote on this blog, I talked about the seven volley types. In that article, I discussed the block volley, which is the easiest stroke in tennis to hit. It’s basically holding your racket in volley position and not moving it. You’re letting the ball come to you. The key on the block volley is to hold the racket with a looser-than-normal grip and allow some give. If you don’t, the ball is likely to fly out. Use the Block Volley on fast-paced shots. To define fast-paced shots, I’d say speeds greater than 65-70 mph for most club players. When the ball is coming more than 70 mph, your best bet is the block volley. Any take backs or swinging of the racket at those speeds will produce errors. I’ve even seen experienced doubles players try to use punch volleys and drive volleys on fast hit shots. There is no need to wind up or apply additional power to a fast-paced ball. All that’s needed is to redirect it. Practice the block volley with your partner or on a ball machine. Then when at the net in doubles, think block volley on every fast-paced shot. I guarantee you’ll hit back way more of those big shots directed your way. This one tip alone has been a huge boost for my doubles game, allowing me to get back more shots on the court, including winners. 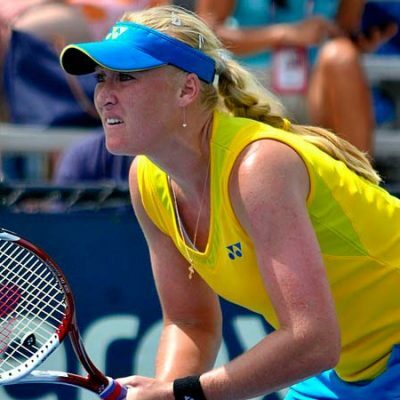 If you’re an experienced doubles player, you’ve probably played with quite a few partners. You may have noticed some partners like to communicate a lot and others are as silent as a church mouse. Personally, I prefer my partner to do a lot of talking. If you’re not communicating as a team in doubles, you’re probably not winning when playing against equal competition. Here are the ways I communicate with my partner. I’ll list them out so it’s easier to read. When my partner and I are serving, we often use hand signs to signal plays. The net man will signal “I’m staying” with a closed fist and “I’m poaching” with an open hand. When we need to switch sides, I’ll yell out “switch”. This lets my partner know I’m definitely switching sides so there’s no doubt in his mind. If a ball is struck in the middle of us, I’ll call out “mine” or “yours” to let him know who should take the ball. This mostly happens at the baseline but can also be called out at the net on occasion. Additionally, if I’m at net and lobbed, I will yell “yours, switch” to my opponent to let him know he needs to cover the lob on my side and that we are going to switch sides. Before the match, we may talk strategy. I believe this is always a good idea, especially when you know the team you are playing against. During the match, it’s good to occasionally talk about making adjustments. If our pre-match strategy isn’t working, I discuss what needs to be changed with my partner. The most important caveat I can offer you about communication is to never berate or discourage your partner. I know there might be times you want to blame him or say something negative. However, you stand the highest chance of winning by keeping things positive all through the match. If you’re more of a logical person, keep reminding yourself of that logic before you open your mouth. 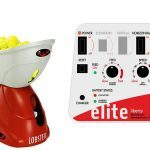 Instead of berating my partner when he continues to make bad shots, I’ll talk to him in a calm tone and tell him what I think he’s doing wrong and what he could do better. For example, if he’s missing a lot of big forehands, I’ll say, “I think you’re going for too many big shots. Take some pace off and get them in for now. We need to be consistent to beat these guys. When you can set up for the big shot, then take it.” Always have a positive tone in your voice when giving constructive criticism, otherwise, it will seem you’re being negative. Trust me, egos are fragile out there. Be positive, communicate all the time and be willing to trust your partner. This is another tip that I struggled with in the beginning of my doubles play. Basically, after you hit a volley, you need to keep moving forward. The only time you wouldn’t move forward is if you’re already a couple of feet from the net. I see so many players at the club level hit a volley and then stand exactly in the same place for the next shot. This really lowers your percentage of winning the point. It’s necessary to keep moving in to apply pressure to the returner. I have a personal theory why they don’t. One is bad footwork or just being lazy. The other is that they’re watching their shot instead of moving forward. The third reason is that they’re afraid of getting to close to the net in fear of not making the volley or getting hit. If you play doubles, you cannot be afraid to volley or get hit. It’s par for the course. So how exactly do you move forward off the volley? 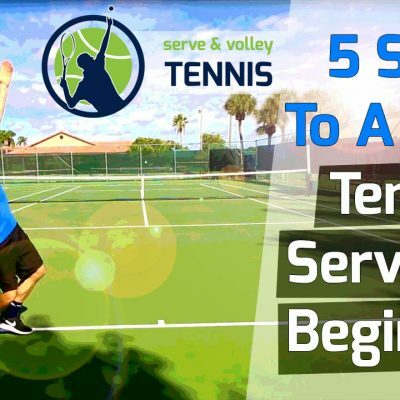 Let’s suppose you’re serving and you decide to come in – you know, serve and volley. You hit your first volley two feet behind the service line. Instead of remaining there, you begin to move in again, only stopping when your opponent begins to hit the ball again. You split step as your opponent begins their forward hitting motion. Suppose the shot is directed at you again. This time you would catch the volley five feet in front of the service line. You then move in again so that the next time you split step, you’re only four feet from the net. Now you are controlling the net, taking away angles and placing a tremendous amount of pressure on your opponent. The next shot should either be an easy put-away or an error. That’s how you move forward. 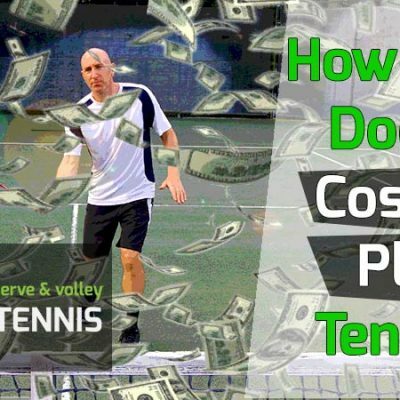 The next time you play doubles, or even singles, keep this tip in mind and watch the difference it makes in your play. 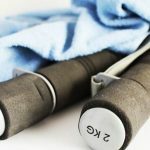 I believe I provided a lot of helpful information in these 15 tips. If you’re not using any of them in your doubles game, I implore you to try them. 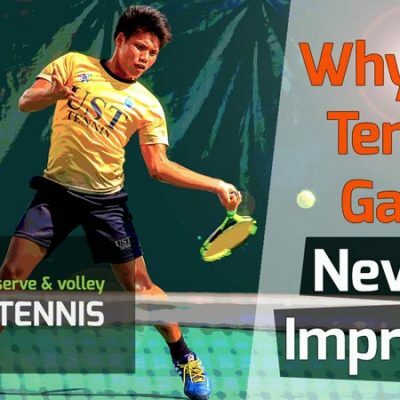 Some are easy to do (like simply communicating more) and others require a bit more skill, like serving and volleying or using better footwork to get into the correct positions. I just want to touch on a few things quickly that I didn’t mention above. Some teams like to use hand signals when serving and others don’t. Before the serve, the net man will put a hand signal behind his back that the other team can’t see. He’s letting the server know if he’s going to poach or not. For advanced players, he’ll also motion where to serve the ball. I’ve had success in doubles using signals and not using them as well. Overall, I prefer to use signals and recommend you use them as well. If my partner is going to poach, I think it’s a lot more helpful if I know or not. In doubles, it’s common to find both you and your opponent going volley-to-volley, or shot-for-shot, near the net. 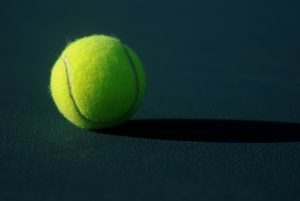 In these circumstances, I’ve found that when the ball bounces in front of me, it’s far more effective to hit the ball slowly with very good placement rather than try to blast it. The next time you’re in such a situation, try using placement instead of power. Yes, there’s a time for power, but often you have a higher percentage chance to win the point with placement. I talked a lot about drop volleys in my article The Seven Volley Types. The drop volley is a touch volley that drops right in front of the net, where your opponent cannot reach it. I find that many club players vastly underutilize the drop volley in their matches. It’s one of the most effective tactics you can use to end the point quickly and decisively. This is especially true when both opponents are by the baseline. I guess many club players don’t use it because it does take a lot of finesse and volley touch. Hit the ball too lightly and it won’t go over the net. Hit it too hard and it can be a sitting duck that your opponent can approach and put away. Still, it’s worth learning. I use the drop volley as often as it presents itself. 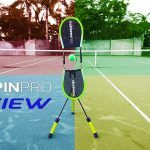 Read my article about the drop volley and practice it. It’s a great weapon to have in your doubles arsenal. The lob can be a very effective shot in tennis. However, you need to lob so that your opponent is hitting their overhead in back of the service line. That doesn’t guarantee they’ll miss, but at least it makes it more difficult and you’ll have slightly more time to track down the ball. If you lob to the middle that can sometimes confuse your opponents. Of course, lobbing to their backhand side is preferred (if possible). Don’t be afraid to lob. Remember, hitting with a lot of topspin and putting it up high will increase the difficulty level for your opponent. Here’s another thing to look out for when playing doubles. Calculate the direction of the wind before you play. I find it’s a lot easier to lob with the wind rather than against it. When the wind is strong against you, lobbing can be very difficult. After you lob, get into the ready position and try to estimate where the ball is going by looking at the opponent. Sometimes by the angle of his body or even his racket, I can get a beat on which direction the ball is headed.